Students often ask what the best book to learn Portuguese is. There are several good books available. The best one for you will depend on your goals and your learning style. Here are a few books to consider. Ponto de Encontro is the most complete book in the market, and is used by most universities and language schools. It is one of the only books with extensive explanations of verb conjugation, how the verb tenses work, and when they are used. Ponto de Encontro teaches Portuguese from Brazil and from Portugal. 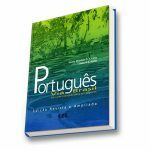 In each grammar topic and exercise, the book explains the difference between the two versions of Portuguese. It is a dense book. 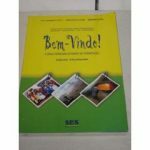 If you decide to get it, I strongly recommend that you also get their workbook Ponto de Encontro Brazilian Activities Manual for additional exercises. There are two versions of the workbook: a Brazilian and a continental Portuguese version. Make sure you are getting what you really want. If you purchase the new edition with access to their language lab, you may not need the activities manual. You will be able to work on the exercises online. 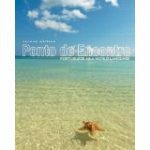 The Acitivies Manual of Ponto de Encontro has lots of audio exercises to help you practice listening and speaking. I cannot emphasize enough how important the audio exercises are for your learning. The book has a good website with additional exercises and all the audio tracks. You do not have to buy the book to access the online program. If you have access to the language lab, the audio tracks will be available to you there. Ponto de Encontro also has an excellent DVD! I highly recommend it. The DVD brings Brazilian and Portuguese content. From the main menu you can select which version of the DVD you would like to see. Each chapter brings a group of native speakers talking about different things: school, work, travel, health, food, and more. The DVD is an excellent tool to work on your listening comprehension skills. The workbook has exercises to help you get the most out of the DVD. I love working with this DVD in my classes. I really think you will like it too. If you have access to the language lab, the videos will be available to you there. This is a good book for exercises that use repetition. It does not give you grammatical explanations; it shows you how to do something and then it makes you practice with exercises. This is for Brazilian Portuguese. Each chapter starts with a dialogue or short text. The book has its accompanying set of CDs (sold separately) which contains all the dialogues and texts from the textbook (orange cover). This is a great book for students who want to do lots of straight-forward, repetitive exercises. In my opinion, repetitive in this case is a good thing and does not equate to boring. You need repetition to learn a language. The exercises will gradually build on vocabulary. For even more exercises, there is the Caderno de Exercícios. For students who are already conversational, I recommend Colloquial Portuguese of Brazil 2. This book has several dialogues that use everyday informal language. It also brings concise grammar points and you can buy the accompanying CDs to listen to the dialogues and practice oral exercises. This book was published in 2008, so it has up to date language. I like Bem-Vindo a lot! It has interesting texts and good exercises. It is a fast-paced book. I recommend it for Spanish speakers and intermediate students. The book has three versions of its excellent workbook: 1) for native speakers of English (green cover); 2) for Latin-American students (blue cover); 3) for Asian students (sorry about the generic term here, but that is how they put it). I recomment the first two workbooks no matter where you come from. They also have their own CD set, which I highly recommend. It has dialogues and texts from the textbook. The CDs will be a wonderful tool to develop your listening comprehension. Please note: When purchasing Bem-Vindo on Amazon, be very careful to make sure you are getting what you want. When they say “Livro do Aluno”, it is the textbook. Each chapter begins with a dialogue followed by its translation, short and to the point grammar explanations, and a few exercises. I like the dialogues and use them a lot in my classes. The grammar explanations are objective, which is good, but in my opinion they are not enough. The exercises are few and not very interesting. The dialogues and accompanying CDs are the main strength of this book. 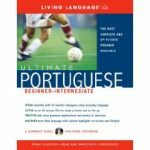 Most of the chapters are Brazilian Portuguese; a few chapters bring Portuguese from Portugal. Please note: You can find the paperback edition without the CDs and the complete set with the accompanying CDs. I suggest you get the one with the CDs. 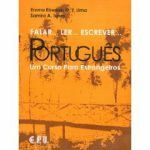 On this article I will share with you three books that I recommend for intermediate-high and advanced learners of Portuguese. Especially if you enjoy a good read, it is worth using these books. 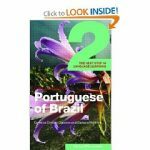 Via Brasil brings short texts by Brazilian writers accompanied by vocabulary exercises, as well as short grammar reviews and practice exercises. The book has accompanying CDs that you need to purchase separately. I always recommend getting the CDs when they are available. They can help you improve your listening skills. Via Brasil teaches bot formal and colloquial Portuguese. The texts presented in the book range from formal to informal language accordingly. Several of the texts bring a cultural element to the learning process which certainly adds value to the book. This is not a book for you to start learning Portuguese. To benefit from Via Brasil you need to have at least intermediate-mid reading skills. You can use the book to learn by yourself if you just want to focus on reading, building vocabulary, and practicing a little grammar. If that is your goal, I suggest you also get the Manual do Professor with the answers to all the exercises. To get the full benefit of the book, however, you need to use Via Brasil with a professional language instructor who can add value to each lesson and help you develop your speaking skills. If possible, get the book that says on the cover: “Com a nova ortografia”, which means it has been reviewed according to the new Portuguese spelling rules from 2009. 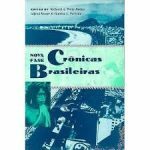 Crônicas Brasileiras brings 35 chronicles by Brazilian writers. After each text, you will find exercises: a few questions about the text and a few grammar and vocabulary exercises. I like the texts very much. Some great Brazilian writers are represented here, such as Fernando Sabino (one of my favorites), Rubem Braga, Paulo Mendes Campo, Rachel de Queiroz e Paulo Rónai. 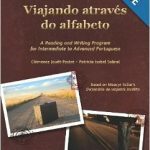 Viajando Através do Alfabeto is also a very nice book for intermediate and advanced learners who enjoy a good read. It brings 26 chronicles by Brazilian writer Moacyr Scliar. Each chapter offers questions to discuss before and after the reading, a quick grammar review + exercises, and a short lesson + exercises about figures of speech. There is no audio component. Street Smart Brazil learners benefit from all these books and more. In our classes we use our own workbook with original content. In addition, we have all the books above in our library and we know them very well. We are able to pair learners with the right books and we allow our clients to experiement with them. This way, you can decide what is best for your learning.